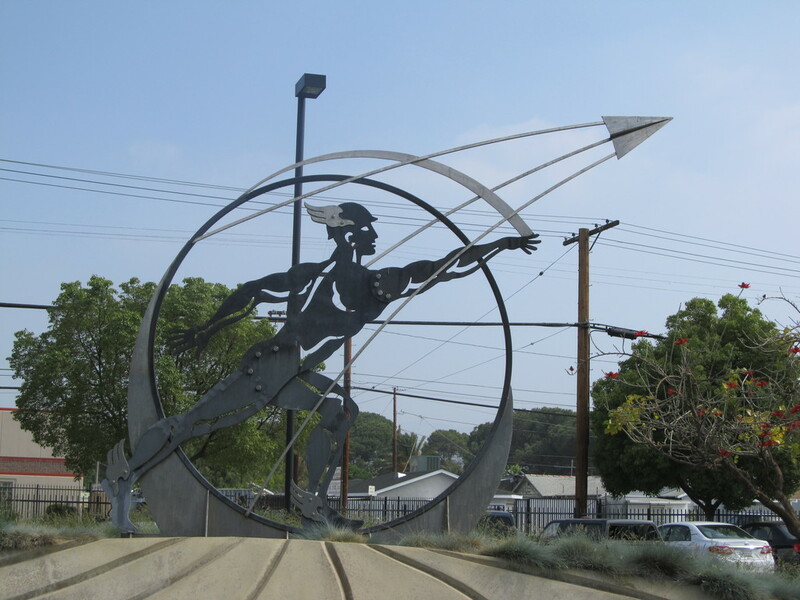 After going to see the restored WWII bombers yesterday, I thought that this might make for an interesting bike ride destination for Sunday’s ride. I plotted a route, and we were on our way. 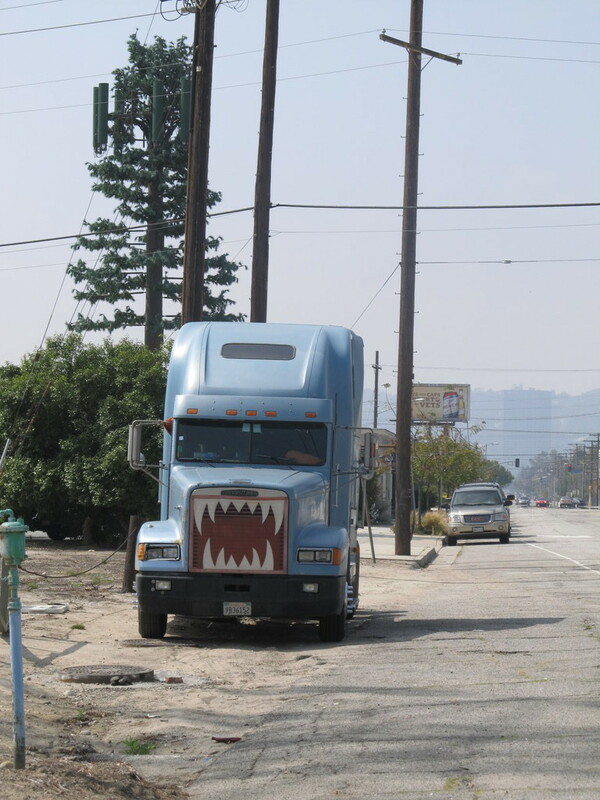 We rode along the Chandler bikeway in Burbank for a bit. 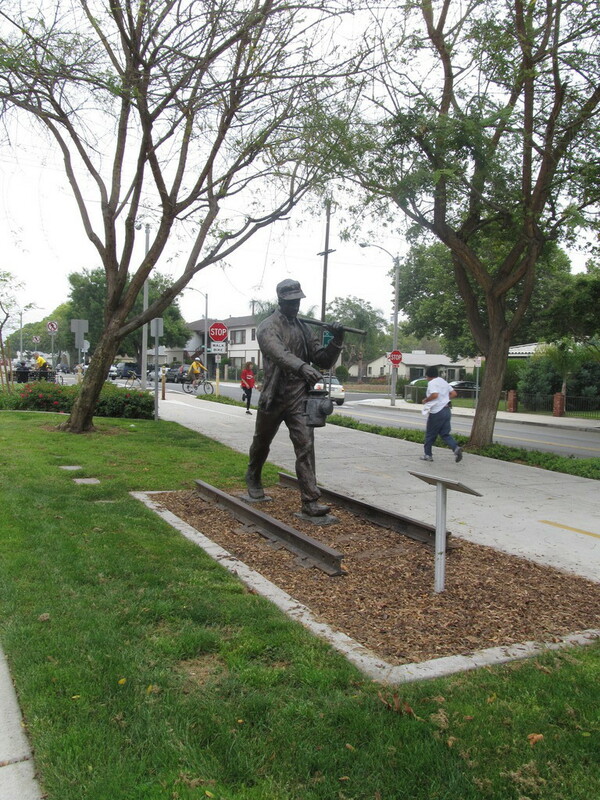 There was a statue and display about the workers who built the railroad that used to run on the right-of-way where the bike path is now. 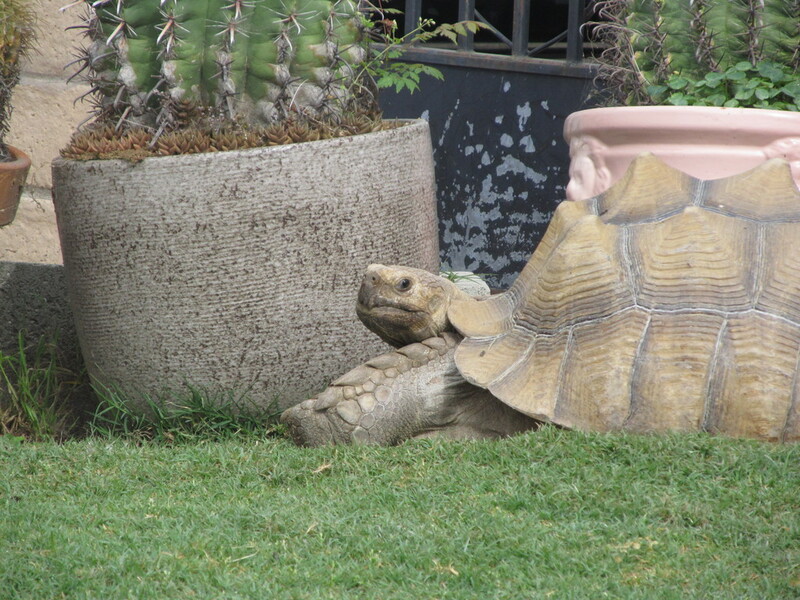 We also took a short side trip to see the big desert tortoises in the front yard of a house there. The bombers were parked around on the north side of the airport, so we had to ride all the way around to get to them. 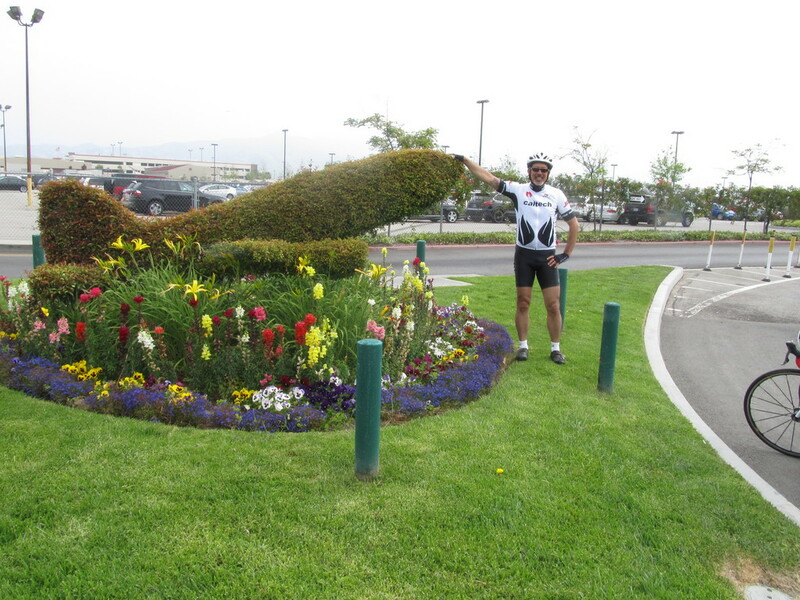 We stopped by the main entrance for a photo-op with the topiary jetliner there, and we also passed Jet Stream Liquors on Vanowen across from the airport. 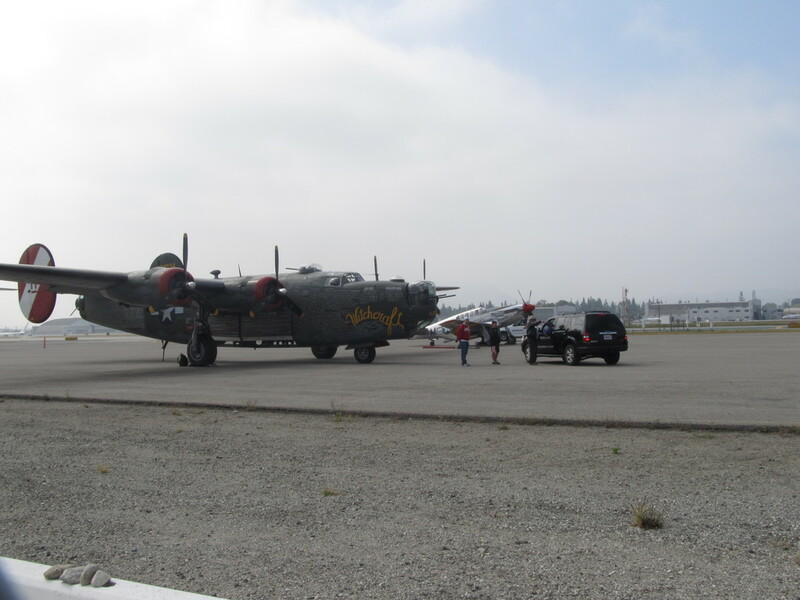 When we got to Atlantic Aviation, we got to see the bombers parked there, but they were not open yet for tours. Still, we did get to see them. After that, we headed south to our snack stop at Priscilla’s. While we were sitting there, we heard a distinctive low-pitched propeller airplane noise overhead. 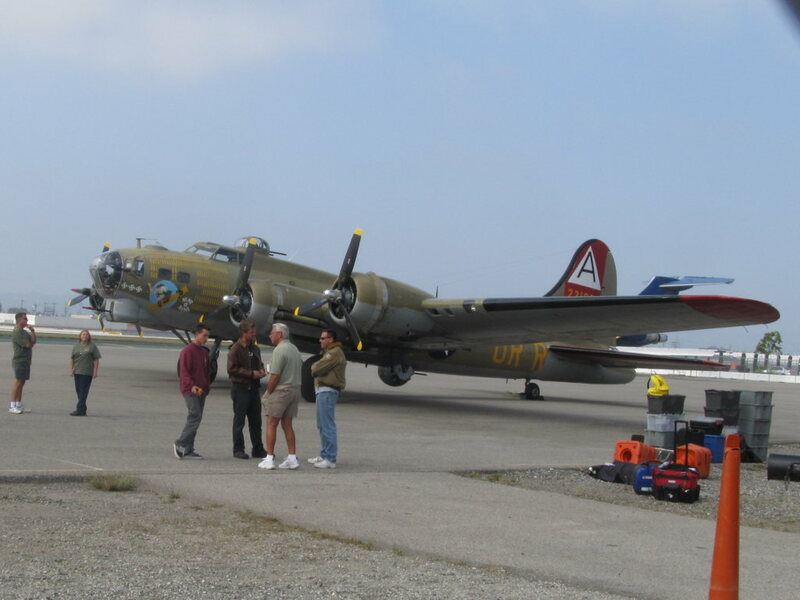 We looked up, and the B-17 was flying right over us. 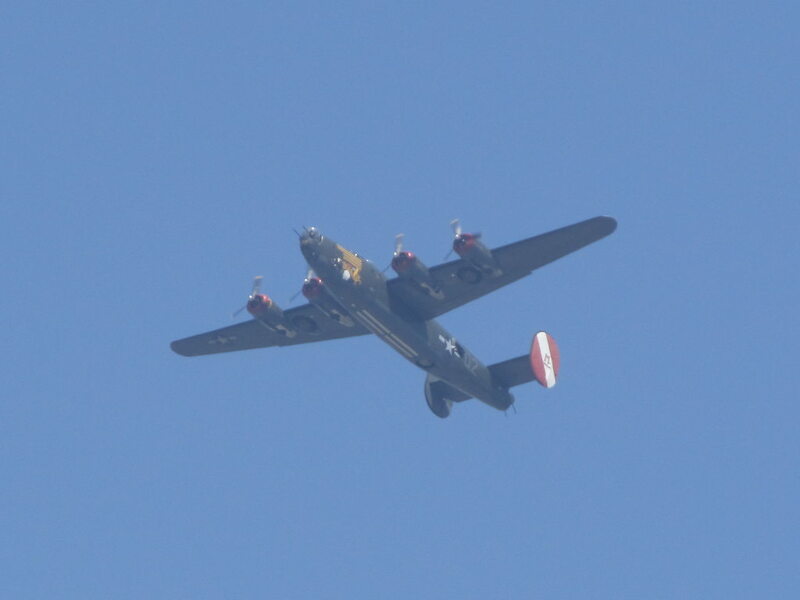 I got out the camera, and few minutes later, the B-24 came by overhead. So we finally did get to see them fly after all. 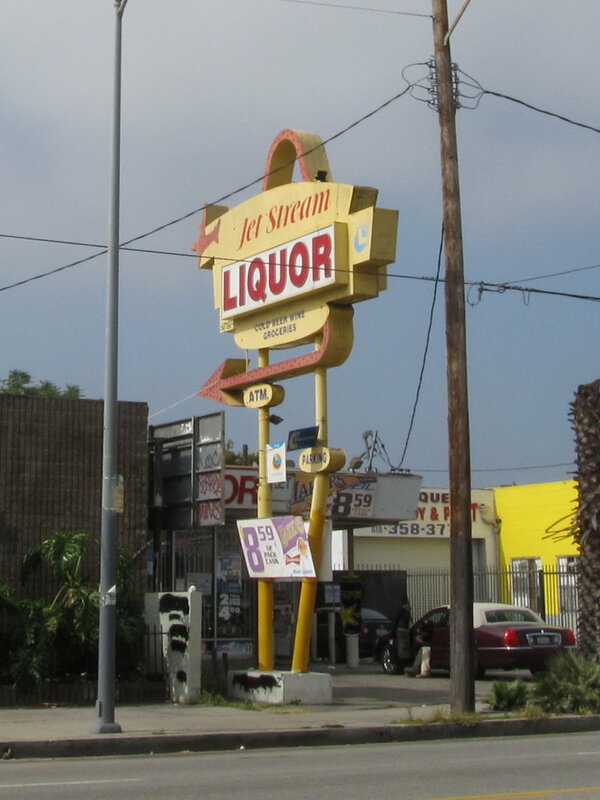 On the way home, we tried a new route across Glendale and Eagle Rock. It was a nice change. When I got home, I realized that the route was a little bit longer than I’d expected, but that’s all right.